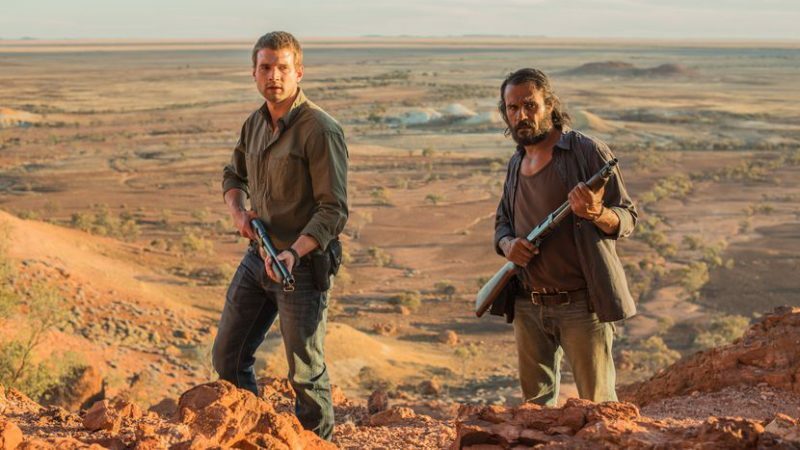 In this sequel to Ivan Sen’s Mystery Road, Indigenous detective Jay Swan (Aaron Pedersen) returns, this time, sent to the frontier town of Goldstone on a missing person’s inquiry. His arrival upsets the easy life of local sheriff Josh Waters (Alex Russell). In this reincarnation, Swan is a changed man. Reeling from his personal tragedy he numbs his pain with alcohol. While investigating the disappearance of a missing Asian prostitute his inquiries bring him into direct conflict with the town’s seedy underworld and his presence forces Josh to re-examine his life choices. In fact, Goldstone is really Josh’s story. Swan is just the catalyst, unsettling the dust and forcing Josh to make some hard choices about where his loyalties lie. In this desolate place that values the status quo above all things, money and power are key and a blind eye is easily purchased. Josh is forced to reevaluate what he is willing to sacrifice as he’s dragged into Swan’s investigations. Confronted with another helpless Asian prostitute he begins to evaluate the kind of man he is and the kind he wants to be. Set against this personal awakening is political corruption that seems to involve the whole community. The aptly named Furnace Creek is part of a big corporate deal and Mayor Maureen (Jacki Weaver) and her secret lover Furnace Creek Metals Group’s foreman Johnny (David Wenham) are determined nothing will stand in the way of them and success. Weaver plays a super sweet villain who combines home baking with a cold hard personality. Perhaps not her finest role but there is something about her portrayal of a special kind of uber feminine cruelty that chills, particularly as she draws parallels between her personality and the land that raised her. Indeed,the land is at the heart of this feature, ever present as both saviour and threat. Swan finds solace in reconnecting with his ancestral homeland, guided by the ever brilliant elder Jimmy (David Gulpilil). Gulpilil true to form is an effortless star, stealing every scene he appears in. In contrast to this, it is the vast hard nature of the environment that suffocates the inhabitants and helps create the lawlessness in which hardness and cruelty make men powerful. Sen’s work is jaw-droppingly beautiful. He uses aerial shots to illustrate the vast unforgiving nature of the land and the insignificance of man against the immense size of the outback and then contrasts that with the claustrophobic confinement of the dwellings. Goldstone is a mystery thriller with something to say. Sen touches on white privilege, alcohol abuse, the exploitation of Aboriginal rights, prostitution and female exploitation and the destruction of the Australian landscape. While there is a naivety at times to the work, there is no doubt that this is an important piece of Australian cinema. Sen is creating something here that transcends the expected and his work sparkles with the possibilities of where aboriginal cinema is headed. Sen is clearly a creative force of nature. In Goldstone he acts as writer, director, director of photography, editor, and composer. 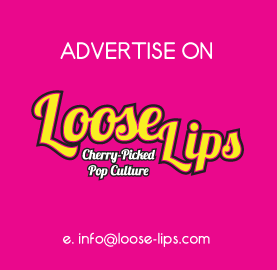 In artistic terms, he is the complete package – an artist who can do it all. He embraces his aboriginal roots and yet he is not confined by the idea of them. He is pushing at the boundaries of his art and exploring the possibilities of story and genre in a way that feels exciting and fresh. Goldstone may well be looked back on as a career defining moment, because although not perfect, it is interesting and political and that makes it stand out as something special. This entry was posted on Saturday, October 15th, 2016 at 12:28 pm	and is filed under Events, Features, Film, Review.